Ear tubes are a well-known remedy for children who have repeat ear infections. The ear tube procedure is relatively minor and involves one of our doctors inserting a small tube into your baby’s ear to drain the fluid. Ear tubes are recommended for children who have regular fluid buildup in the middle ear. Ear tubes can help reduce ear infections in infants because they allow air to enter the middle ear, and allow fluid to drain out. Most children recover from this minor procedure very quickly. In many cases, ear tubes fall out on their own within a year. Some tubes need to be surgically removed. 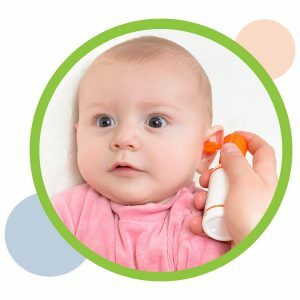 If your child’s ear begins to drain please start using antibiotic ear drops. Give your child 3 drops three times per day for 7 days. If not expired you may use the drops you were given at the time of surgery, otherwise please call the clinic for a prescription. If your child continues to have ear drainage after 7 days then please come in to our clinic for a culture of the ear and possible cleaning. We will then consider an oral antibiotic based on the culture results.For more information on ear tubes or to schedule an appointment, please Contact Us today.